Jaguars running back Deji Karim had surgery on his left thumb Tuesday and will miss the rest of the preseason. 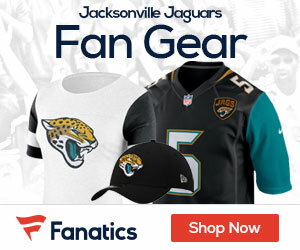 The Jaguars expect Karim back at some point within the first quarter of the season and the rookie running back will play with a cast early in the season. It’s possible, though unlikely, he’ll be ready in time for the first game of the season. Karim had become an explosive returner for the Jaguars this preseason and the sixth-round draft pick hurt his thumb on a kickoff return late against the Miami Dolphins. The Jaguars signed running back Kolby Smith to help fill the hole.